This track is very loosely based on the handling test track at the Vairano Automotive Safety Center south of Milano Italy owned by Quattroroute magazine. I could not find much data on the track other than the basic layout. So all of the elevations and objects are purely my imagination. The basic track layout was created with GTKmaker. Then the data was entered into GPLTrk. 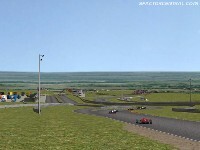 I used GPLTrk for the main track surface, the grass edges, walls, elevations and pit road. I then pulled the data into TrkMaker where I added the infield and outfield grass areas before converting it to GTL format. 3dSimEd was used to edit and add all of the objects. As well as some tricky texture re-mapping for the sand and dirt areas around the track. rFactor AIW editor was used to make the AI. 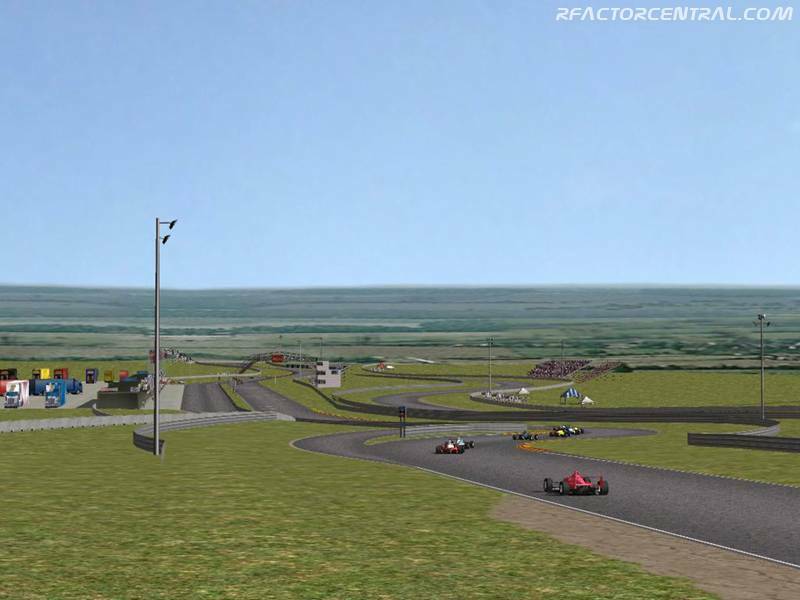 3dsimed was used to convert it all to rFactor format. "If you can get a car setup to handle well here, it will handle well anywhere"
v2.0 includes xpitout fix and pit lights fix. There are currently no setups for Vairano. Add a Setup. the track has not rows or bridge because it's only for private tests, it's is like your version in the grass, only a wall near the rectilinear.